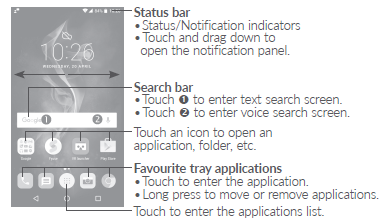 The alcatel Idol 4s user manual provide detail reference information such as device layout and Keys and connectors, tutorial Inserting or removing the SIM/microSD card on page 25, Using the touchscreen, Using the Onscreen Keyboard using contacts, email and messaging. Then about calendar, clock, using browser for access internet Connecting to Bluetooth devices, VPN settings on page 76, Connecting with devices through NFC, using camera and sound recorder, Xender File Transfer, Waves MaxxAudio, using Google applications for example Chrome, YOutube, playstore, and more. Other important information such as about device settings for example network settings, Set mobile data limit, More\Android Beam, More\Tethering & portable hotspot, Emergency alerts, Security guode, Set up SIM card lock, Screen pinning, Backup & reset, also Network settings reset. 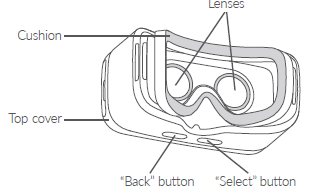 Don't forget read about Using the VR goggles for the first time, Configuring the VR Launcher, Using the VR Launcher on page 15 also Troubleshooting.